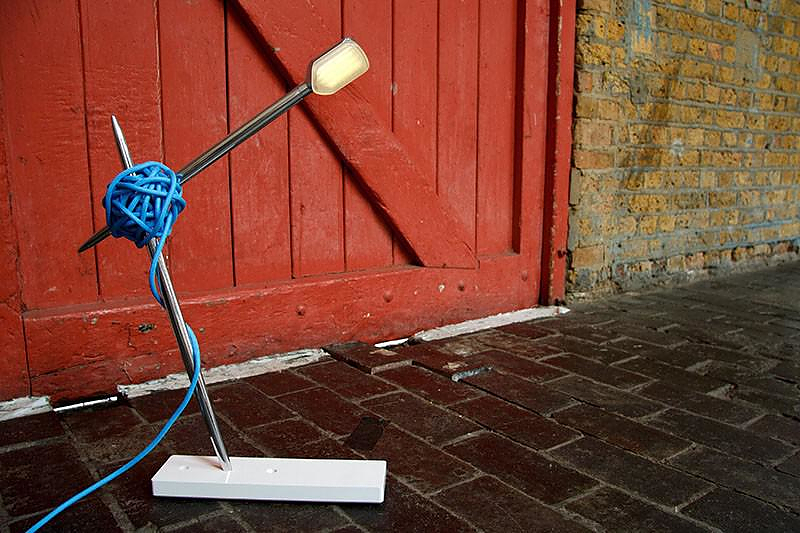 HomeBlogHome DecorNeedle Table Lamp by Vitamin. 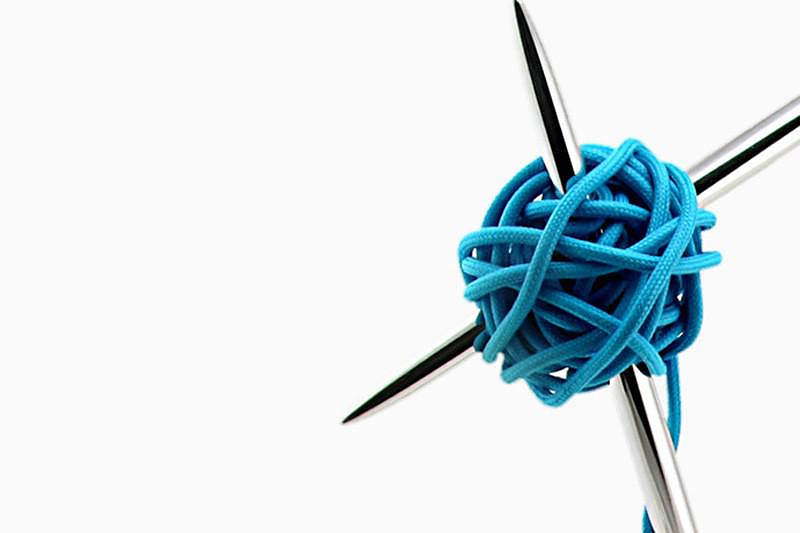 Who could ever imagine that knitting, grandma’s favorite hobby, could provide the inspiration for such a sharp and modern design? 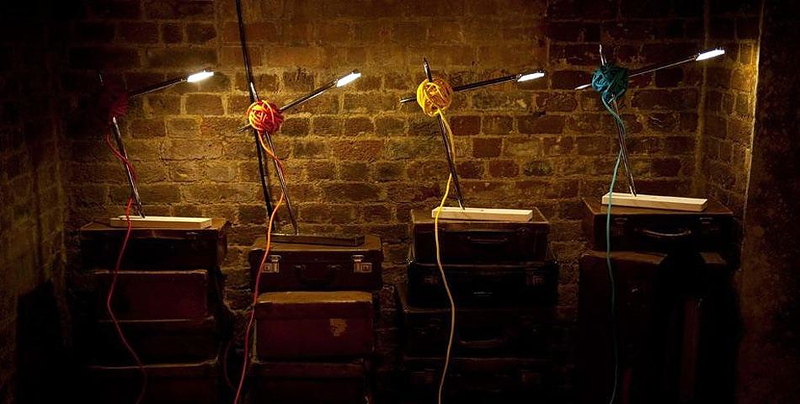 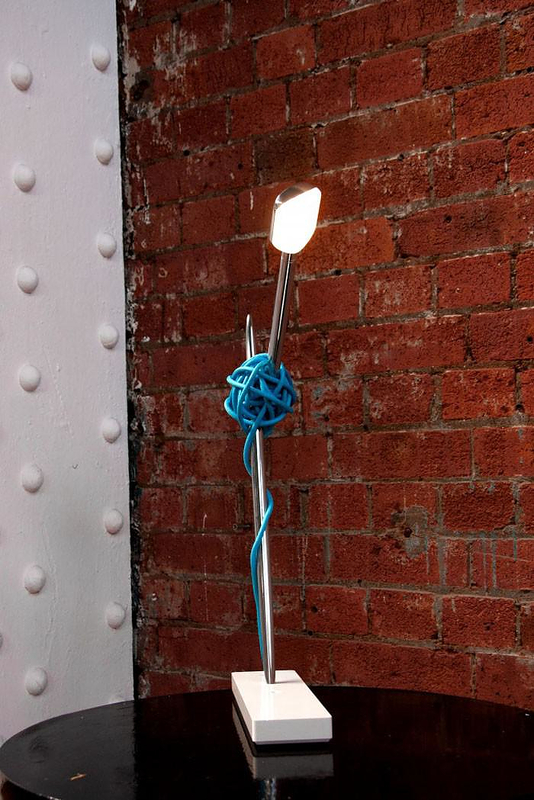 But of course the British design team of V2 Studios that created this awesome lamp.The Needle Table Lamp is made of two large polished aluminum arms (that look like oversized knitting needles), a solid steel base, and a brightly colored power cable wrapped around the needle joint, resembling a ball of wool….. 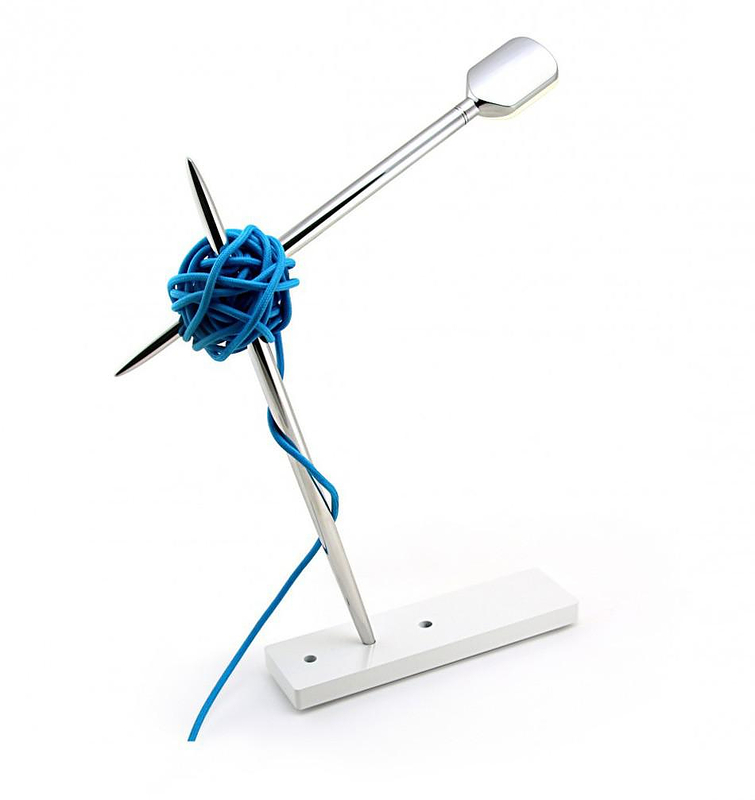 The chaos of the tangled cable comes is in direct contradiction with the geometric, structured needles, creating a diverse and interesting and eye catching combination. 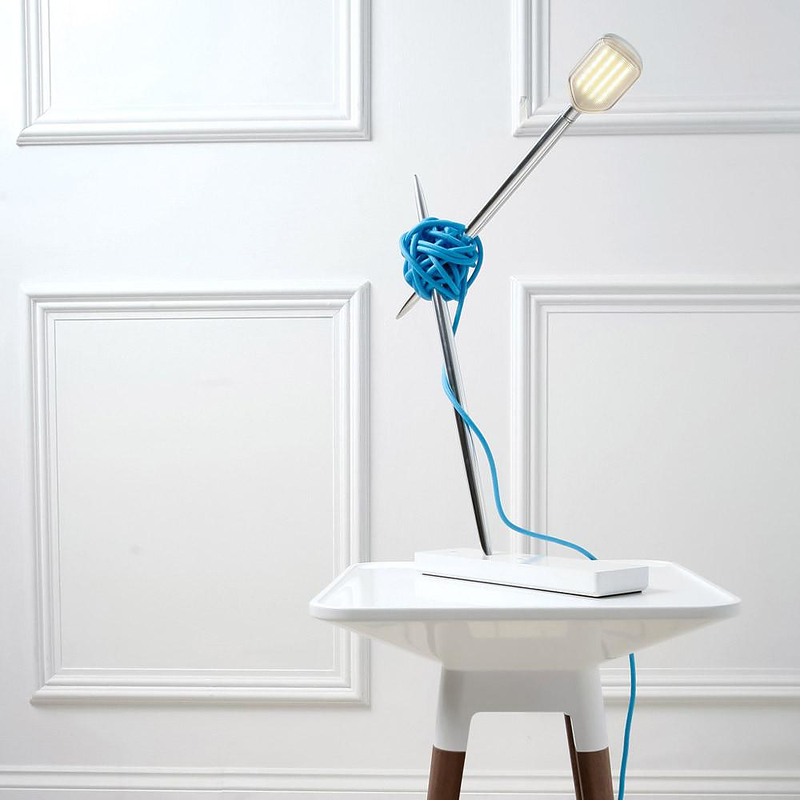 We particularly like the way that the retro element of the woolen ball is incorporated in an otherwise ultra-modern and sharp design. 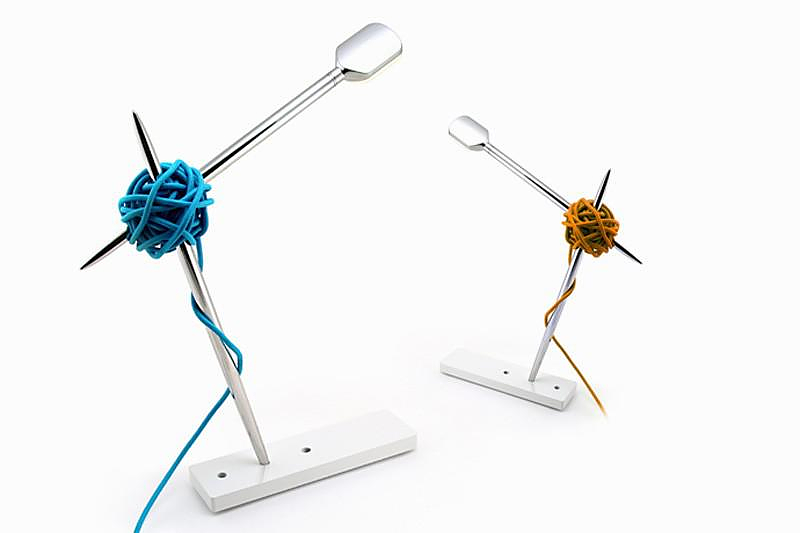 The Needle Table uses high-powered LEDs producing an impressive and intense glow from the minimal form.